MINI is taking the United States by storm and to celebrate, the automaker is putting on an event that literally celebrates the idea. MINI Takes the States is a customer-based event that will depart from Atlanta, Georgia on July 9, 2016. By July 23, 2016, drivers will arrive in Palm Springs, California. The two-week event is sure to be an amazing once-in-a-lifetime experience so if you own a MINI, be sure to attend! Held once every two years, this year’s MINI Takes the States leaves from the Atlanta Motor Speedway and heads north to Charlotte, North Carolina. Attendees will hit plenty of major cities along the way, including our very own Pittsburgh before heading to the furthest northern point on their trip, St. Ignace, Michigan. In 2014, MINI Takes the States traversed 5,142 miles, starting in San Francisco and ending up at Boston. On that cross country adventure, drivers motored through Texas, the Rocky Mountains, and even Canada. MINI owners from around the country are invited to attend but must drive a MINI vehicle in the rally. Rallies will be held in each designated city along the way. We hope that even if you don’t have the time to take two weeks getting to know your MINI and fellow motoring enthusiasts as you drive cross country that you will at least stop by the Pittsburgh, PA rally point on Tuesday, July 12th. We here at MINI of Pittsburgh can’t wait to see all of the attendees at the 2016 MINI Takes the States and hope that you make it out there to take part in this awesome drive! High Plateau – Located on Route 144, this unforgettable area stretches 27 miles. With a bird’s-eye-view of the Sproul State Forest, you’ll take in scenery that hasn’t changed in more than a century. Grand View – Located at the top of Mount Washington, you can take in a panoramic view of the Golden Triangle. The skyline, bridges, and unique landscape all make for a memory you’ll never forget. Gateway to the Endless Mountains – Called “one of America’s most scenic drives” by National Geographic, the entrance to the Endless Mountains is absolutely breathtaking. Once you’re there, you have easy access to some of the most memorable hiking and biking trails in the state. There are plenty of places to drive in Pennsylvania and while some vehicles can’t handle the roads, a MINI can take on even the sharpest curves. Equipped with superior handling, there’s very few hairpins, turns, curves, and byways that a modern MINI can’t handle! Head out motoring around this spring on some of the most scenic roads in the country and let your MINI handle the twists and turns that come your way. MINI Accessories are the perfect Valentine’s Day gift for the MINI Enthusiast in your life. Is your valentine an auto enthusiast? Are you struggling to come up with a cool car gift he or she will love? We’ve found some clever and creative car-themed Valentine’s Day gifts that we hope will inspire you that you can get for the MINI lover in your life. Whether you’re adding onto your sweetheart’s car with a new app or product or you’re getting them a cool knickknack, there’s a whole world of crazy car stuff out there. Of course there are lots that are perfect for MINI Motoring Enthusiasts, but there are also some that are good no matter what your significant other drives. For a MINI lover, you can get them MINI sunglasses, a MINI umbrella, MINI bags, bracelet, cufflinks, phone cases, stuffed animals and more. You can even get them MINI items for their pet. If you want to help them really show off their MINI, then you can get them the John Cooper Works performance package and enable their MINI to become even faster than before. If your significant other isn’t a MINI lover yet (just give it time and they will be), here are a few ideas you can use to get them a car-themed Valentine’s Day gift that they will love. A year’s subscription to satellite radio is always a great hit for music and sports lovers alike. You can also get something to make driving easier like Smart Driving Assist or a remote car starter. Real auto enthusiasts and racecar lovers will appreciate a brand new paint job—maybe with some racing stripes (to match the ones on your MINI of course)? Stop by MINI of Pittsburgh to pick-up the perfect Valentine’s Day gift for your significant other. We hope to see you soon and wish you and yours a Happy Valentine’s Day! What makes the 2016 MINI John Cooper Works convertible so much different than the 2015 version? Well, for starters, the 2016 MINI JCW convertible has a 2.0-Liter, four cylinder engine that produces 228 horsepower and goes from 0 – 60 mph in only 6.3 seconds. Maxing out at about 150 mph, this convertible can really get the wind whipping through your hair. The 2016 JCW Convertible has a sleek cloth soft top that can open and close in 18 seconds at speeds up to 18 mph. So, if the rain warning system this MINI convertible is equipped with tells you of an upcoming storm, you can close the roof in a hurry. Of course, once the roof is closed, you will still enjoy the drive with the 6.5-inch infotainment system, dual-zone climate control, and optional heated seats that are perfect for our cold Pittsburgh mornings. We expect to be able to have the John Cooper Works convertible available for you in April with a base price of just under $36,000. Come talk to our MINI experts to learn more about the fastest MINI Convertible to date. When you look at the very harrowing statistics of cell phone use while driving, one thing becomes very clear. If you are doing it, and so far you have not been involved in an accident, you are simply one of the lucky ones. Every time you get on the road and use your cell phone while behind the wheel, you put yourself further at risk of having that luck run out. Nine Americans lose their lives every day from distracted driving. And on average, one out of every four vehicle accidents involved cell phone use. Driving requires focus. As boring as it can be, and as much as we’ve done it over the years, it still requires just as much focus as it always has. Using a cell phone for either talking or texting always diminishes that focus. It may just be for seconds. But, according to Huffington Post, the number of seconds that one’s eyes must leave the road in order to send a text is five. The best way to avoid becoming a statistic is by staying vigilant and keeping your eyes on the prize at all times. No matter if you’re behind the wheel of your MINI or any other car, please don’t text or call and drive. Your life is worth more than a phone call. The time is now for MINI owners to break a big world record! On August 1, MINI of Grand Rapids will be hosting the MINI on the MACK event. What is MINI on the MACK? Only a chance to break the Guinness World Record for the largest parade of MINI vehicles in the world! And you can be a part of it! MINI of Grand Rapids is calling out for any MINI owners to attend the event and cross the Mackinac Bridge in a huge MINI parade. We at MINI of Pittsburgh want to make sure Pittsburgh is represented, so we’re going to help you out. If you head to the MINI on the MACK event and have your picture taken with Pittsburgh gear, make sure to stop on into MINI of Pittsburgh. While supplies last, we will reward participants who attended the MINI on the MACK event with $150 checks! We want to make sure the Pittsburgh spirit is present during this record-breaking event. MINIs need to be lined up by 9:30 a.m. ant the Mackinac Bridge in Mackinaw City, Michigan on August 1. You can register for the event now at http://minionthemack.com/. For more information, contact Chris Lasko, Motoring Manager at MINI of Pittsburgh at chris.lasko@pandwforeigncars.com. Let’s break a MINI world record! The holiday season is a time to express gratitude and to give generously to others. And, that is what Motoring Hearts is all about. With over 37,000 volunteer organizations, this partnership between Volunteer Match and MINI allows volunteers to discover opportunities that match their interests. Proceed to visit the Motoring Hearts website. Enter a location, interest, and age group. After registering, you will be contacted by the organization. 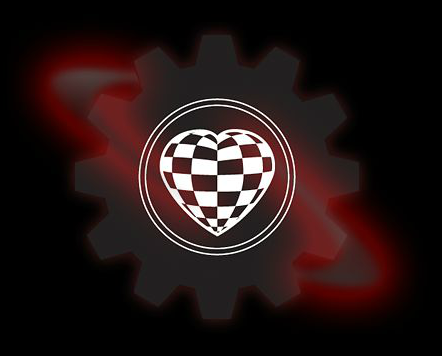 After volunteering, you will receive a Motoring Hearts badge. Do you give good advice? Are you a business professional? Do you enjoy cooking? Are you a runner or a swimmer? Do you love animals? Are you an international guru, a piano master, a former thespian? Do you love to shop? Your local city of Pittsburgh offers volunteer opportunities for each of these interests and more.